When was Roadrunner Performance started and who owns the company? Roadrunner Performance began in 2004 as an industrial hose & fittings company. Ken Fay and his wife Paula, purchased the company in 2014. Ken has over 30 years of dedicated experience in the automotive industry and recognized that the Roadrunner Performance product line was geared more towards high performance applications, rather than traditional hose distributors. The corporate offices are located in Spokane, WA, along with the primary warehouse & distribution center. What does Roadrunner Performance offer? Roadrunner Performance provides High Quality performance fittings, adapters and hose, along with unique tooling accessories. High performance engines require plumbing that is dependable and also offers great esthetic value -good looking hoses/fittings and adaptors that come in a variety of colors. With Ken having decades of experience, his goal is to provide the highest quality products, at competitive rates, with a commitment to continue to innovate and produce new products and expand the product line. 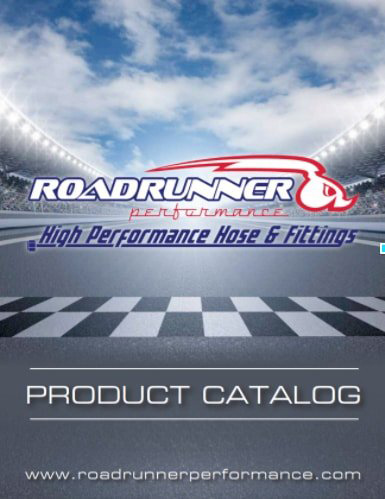 Roadrunner Performance provides hose and fittings that appeal to high performance enthusiasts for various car racing industries as well as the off-road market primarily. Anyone with high performance motors can utilize our products with confidence too. Products are warranted for a period of 90 days from receipt of purchase. For any “questionable” defectives during that period, please return to the distributor where you purchased your part for a replacement. Roadrunner is proud of their defect rate of less than 0.1% – allowing confidence for the tech and the driver. Absolutely! All of our fittings and adapters are reusable. We do not carry “crimped” fittings. What lengths do your hoses come in? They are custom cut in lengths of 25’, 50’ and 100’ lengths. When you purchase through your distributor, they will offer you a larger variety of custom cut lengths. How can I order Roadrunner Performance Products? How can I see the full line up of high performance hose and fittings? Click here to view full list of high performance hose and fittings. How are Roadrunner Performance parts and hoses tested? Roadrunner Performance’s parts and hoses are continually tested in-house and also by an independent contractor. Fittings are pressure tested to the pressure of the hose. Additionally, many of our clients who race, provide us with test results from “live” track runs. It has been reported that RRP products quality and performance require minimal replacement, increasing the lifetime of the product by approximately 1 /12 times of other competitor’s fittings and adapters. Our fittings are made with anodized aluminum 6061-T651 heat treated that meets and/or exceeds industry standards. Can I buy parts from your website? Roadrunner Performance sells all products through a distribution network, therefore parts are not available through our website. If you are interested and would like to become a distributor, please call us at 509-262-9165 or send us an e-mail through the contact page. To buy parts as an individual, use the Contact Us link to locate a distributor near you. If you like, include the part numbers that you are interested in and we’ll help you locate the most convenient distributor in your area. Does Roadrunner Performance produce custom fittings? Let’s talk! At Roadrunner, our goal is to provide 100% satisfaction and if the situation warrants custom production, we will be happy to discuss with you. What don’t you get at Roadrunner Performance? Voicemail purgatory, apathetic customer service, passing-the-buck or the runaround!!! Where can I call for Technical Support? Roadrunner Performance business hours are Monday-Friday, 8am to 5pm, Pacific Standard Time. You can email techsupport@roadrunnerperformance.com 24 hours a day / 7 days a week. Roadrunner Performance understands customer-oriented service. We are available by phone and email for any inquiries. Human beings answer every call and respond quickly! Any other questions about carrying Roadrunner Performance high performance parts and hoses? Call or email Roadrunner Performance for any other questions you may have.